Perhaps, then, it’s time to rethink our mentality about processed foods and direct more attention to so-called ultra-processed foods. 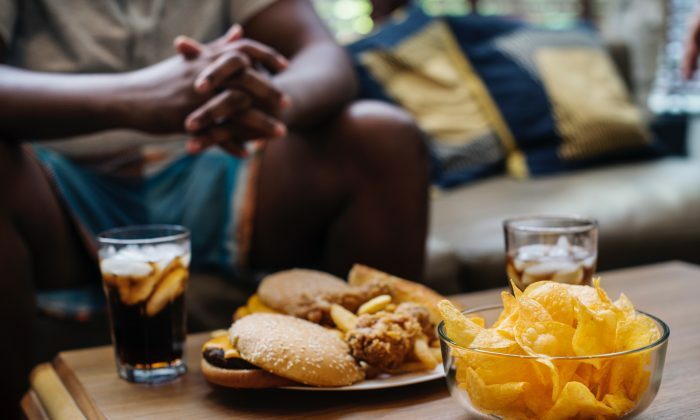 After all, timely research reveals it’s specifically ultra-processed foods that can cause health problems, including increased risk of obesity and cancer. The idea of ultra-processed foods was first introduced by a team of Brazilian nutrition researchers in a 2016 study that linked the foods with cancer. This research broke processed foods into a classification system called NOVA. In essence, pinning down the exact nature of ultra-processed food is still in process. The first or primary stage of “processing” involves making sure the food is edible. Harvesting grain, shelling nuts, and slaughtering chickens are all considered primary processing. Foods that have only gone through this stage of processing are often still considered “whole” foods. At the secondary stage, foods are subject to baking, freezing, and canning to make a slightly more complex finished product. It’s at the third (or tertiary) level of processing where manufacturers inject flavor enhancers, and add sugars, fats, and chemical preservatives that turn foods into the ultra-processed variety. In short, ultra-processed foods are probably what many of us already think of simply as processed foods—those shiny, packaged, nothing-to-do-with-nature products found at fast-food restaurants and gas station mini-marts. Though they may add flavor and texture, it’s all these “extras” that are likely endangering our health. Excess sugar, salt, and oils in the diet are known to play a role in the development of numerous health conditions. Understanding how foods get ultra-processed can be a helpful step in remembering to minimize our intake of them. Diligent label reading can also help you choose products with fewer ingredients. Cooking at home also goes a long way toward reducing the amount of ultra-processed food you consume. Restaurant meals (especially fast food) are notorious for tinkering with their recipes to achieve a certain flavor, rather than a nutrition profile. Thanks to years of diet culture, we know what foods have been socially labeled as “bad” and “good.” But it’s really not that simple. Food is more than fuel and filler; it’s a relationship. So, the next time you head to the grocery store, remember that not all “processed” foods are necessarily bad for you.